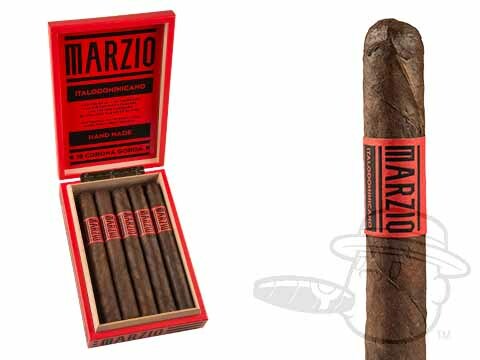 From makers of classic American machine-made cigars Parodi comes an exciting new premium smoke - the rich and rustic Marzio cigar. Handmade at the legendary La Aurora cigars in the Dominican Republic, Marzio blends Kentucky USA fire cured tobaccos with Dominican Olor Seco and Nicaraguan Viso long-fillers under an extra dark U.S. Kentucky fired cured wrapper to introduce a whole new world of delicious and smoky pleasure at a reasonable price. 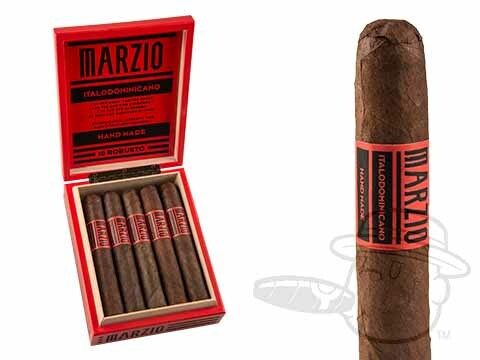 Conveniently packaged in boxes of 10 cigars, the Marzio boasts full-bodied flavor with smooth yet striking tones of cedar, Cuban coffee, citrus, cacao, campfire, & more. Lovers of bold taste are sure to flip for these; grab your box at a generous discount now.